We pause to take a step out of this tumultuous year, the months and news cycles that collide into each other. We reflect on last year’s grief and joys. 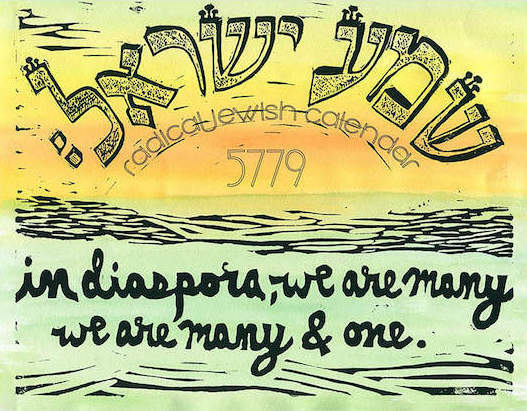 On Rosh Hashanah, tradition tells us our fate for the coming year is written in the Book of Life, and on Yom Kippur it is sealed—what will we commit to building in the coming year that might change the course of our own lives, and how will we commit ourselves to movements for justice in the year to come? JVP is proud to live stream High Holiday services led by Rabbis and JVP members from congregations and havurot spanning the country. Join us in interweaving the political and spiritual through prayer, song, study and the new year’s themes. Our vision is to offer this deep, values-based opportunity for our members and friends in order to nourish our justice-seeking communities for the coming year and beyond. Meet the communities offering Live Streaming of their Rosh Hashanah, Yom Kippur, and cross-border Sukkot Services in the Bay Area, Seattle, Tucson, Philadelphia, Chicago, and Boulder. Across the country, JVP Rabbis and leaders are leading services and gatherings to bring in the New Year. Find a congregation or havurah near you! This Rosh Hashanah and Yom Kippur, let us bend ladders into bridges. Let us tear down the physical and spiritual walls that prevent freedom of movement and true independence. 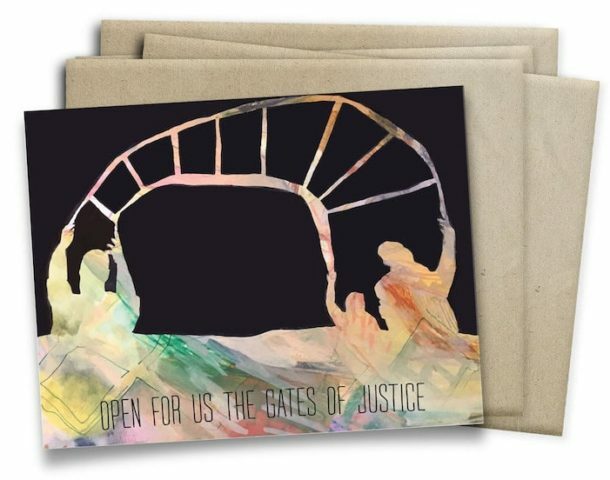 Buy a pack of these beautiful High Holiday cards – designed by JVP Artist, Mara Gerson – and send them to your friends, family, and colleagues. * Yizkor is a memorial service that is held 4 times a year – Yom Kippur, the last (8th) day of Sukkot, the last (8th) day of Passover, and the last (2nd) day of Shavuot. It is an opportunity to grieve among community throughout the year. 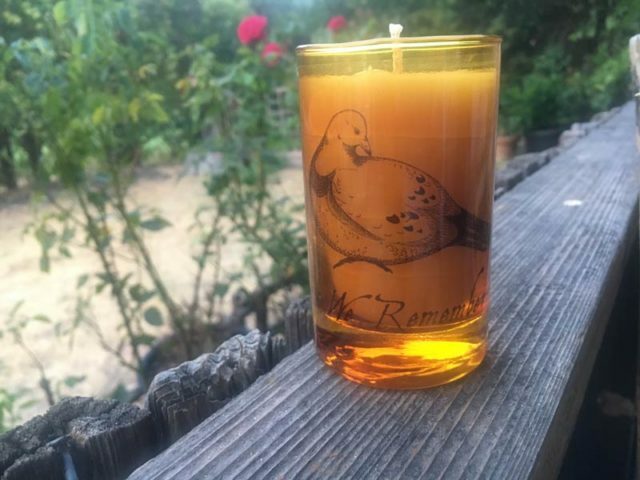 Narrow Bridge Candles is a Jewish ritual candlemaking project in support of the full Palestinian call for Boycott, Divestment and Sanctions of Israel (BDS). A portion of proceeds go to support movements and organizations working for Palestinian self-determination and U.S. based struggles for racial justice and Indigenous sovereignty. The ordering deadline for Yahrtzeit candles in time for High Holidays is Friday August 24th. Learn more and order. Radical Jewish Calendar 5779. 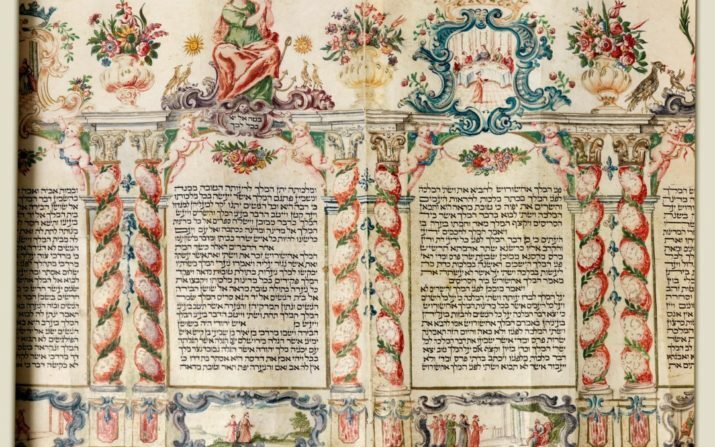 Organized by Jewish month, layering Jewish and Gregorian dates, astrological happenings, holidays, and political history. The Soul Candles candle making tradition has been passed down through tkhines, Yiddish collections of prayers by and for women. Soul candles are made to both honor ancestors and protect the living. Said while spinning wick into candles, these tkhines prayers capture the ritual of Jewish Russian and other Eastern European memorial candle making during the high holy day season. 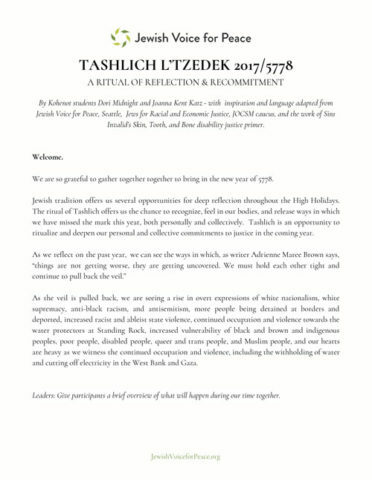 Jonah Aline Daniel, Rabbi Ariana Katz, and Rebekah Erev have partnered in the past handful of years to explore the Thkines and Soul Candles traditions through text, ritual, art, research, prayer and craft. 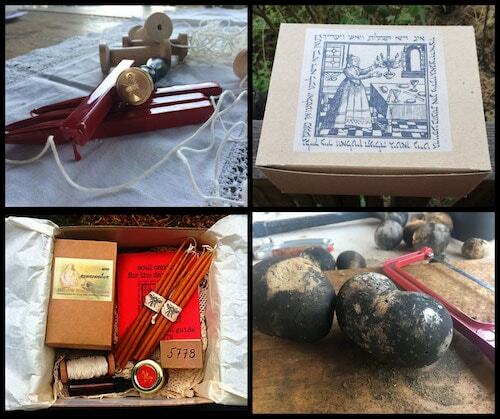 This year’s kit builds on the 5778 kits with even more ritual and artistic offerings. With this kit, we bring the tkhines of Jewish women into our lives and hold them up to shine brightly. Order by Friday August 24th, 2018 to receive in time for High Holidays. Learn More and Order. For more BDS-friendly Judaica, visit our Social Justice Judaica store here.